Tactic: Use the social data in EverTrue to find the alumni, parents, and friends who interact with you the most online. EverTrue makes it easy to see who has liked the most posts on your institution’s Facebook page. 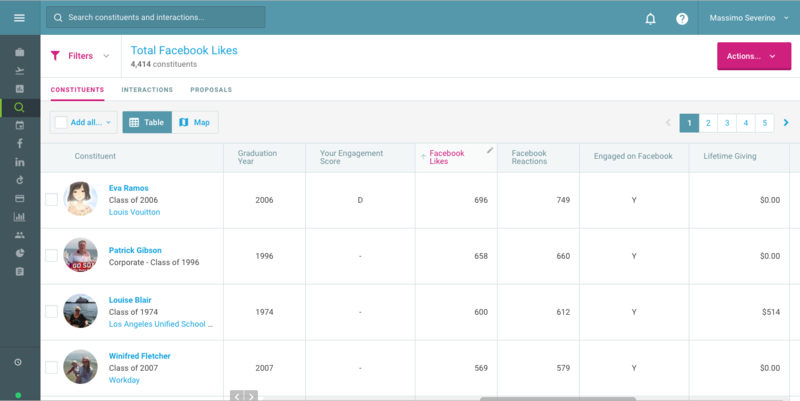 Run a search for Facebook Likes, then sort the column by descending numbers. You’ll then generate a list of your most-engaged constituents. Reach out to your top likers and thank them for their support! Result: Ongoing engagement with a group of passionate alumni, parents, and friends who support the vision and mission of your institution.